After the “near arrest” (I know, I know, it’s not a big deal. I’ll let it go now! ;) debacle in New Brunswick I was ready for a good meal in a cozy locale. Ask and you shall receive! 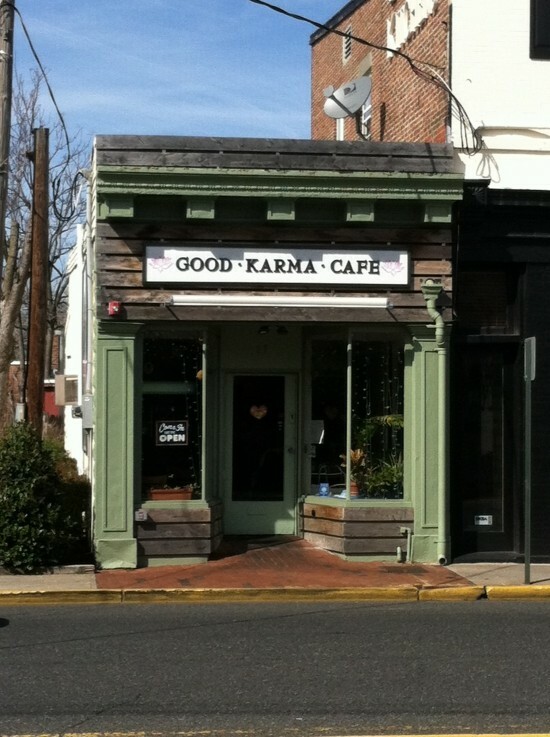 I arrived in Red Bank, NJ around dinner time and happily found my way to Good Karma Cafe. What a lovely place! 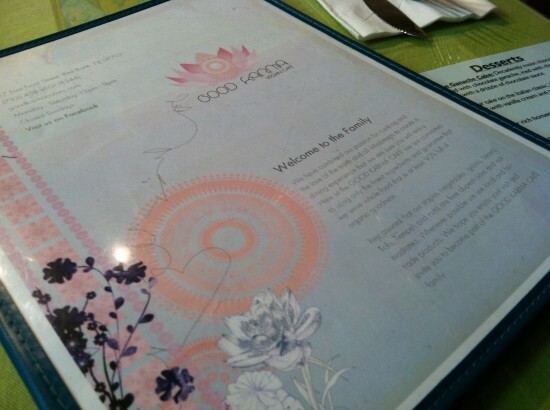 I ended up going again the next day for breakfast, before leaving the area. Even the outside is cute. Look at this!! Eee!! I realize now that I didn’t get any pics of the decor inside but it’s really cool inside. Very warm and welcoming. There is a cooler by the check-out counter that holds some take-away food, sweets, and drink items. The ladies room is hot pink and features local artwork from kids. Really sweet. There was other cool artwork around the restaurant. The tablecloths were lime green and there were white holiday lights in the front window. It’s definitely a lively and fun place. I could see coming here on the regular if I lived in the area. 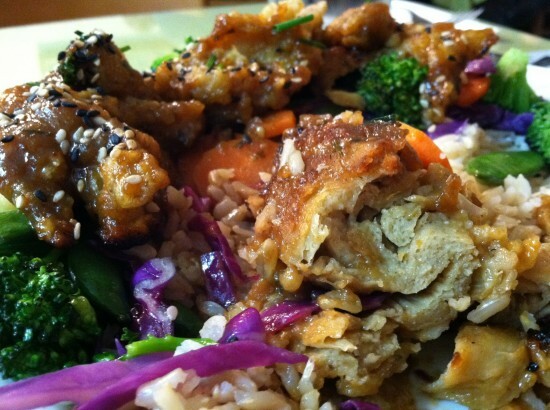 Here we have the Peach Glazed Seitan – crispy seitan tossed in succulent peach duck sauce, served with sauteed Asian-style vegetables and brown rice. 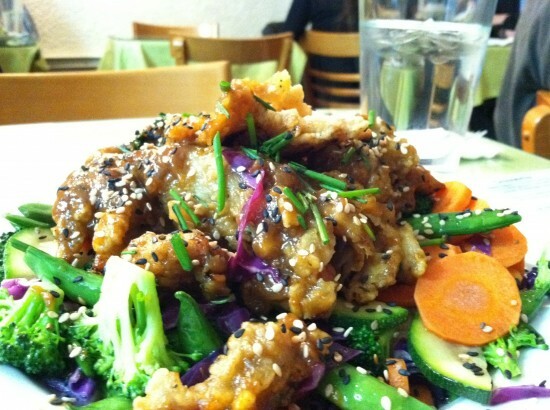 The seitan was perfectly sweet and crunchy, covered in sesame seeds. The veggies – broccoli, carrots, green beans, zucchini, and shredded red cabbage were fresh and (thankfully) not drenched in the sauce. I loved this! 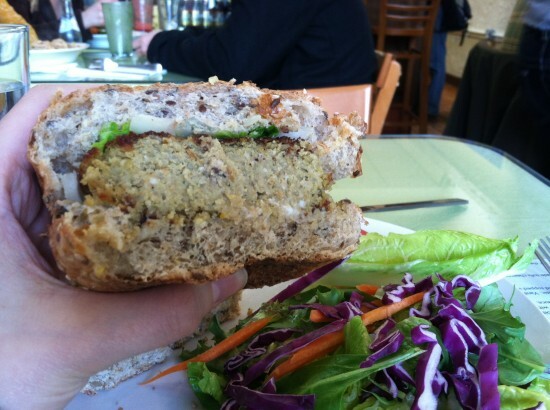 The bigger pieces of seitan were breaded and broke a part in a way that was very “meat” like. Regardless, this was a great dish overall. Immune boosting juice! Yum!! 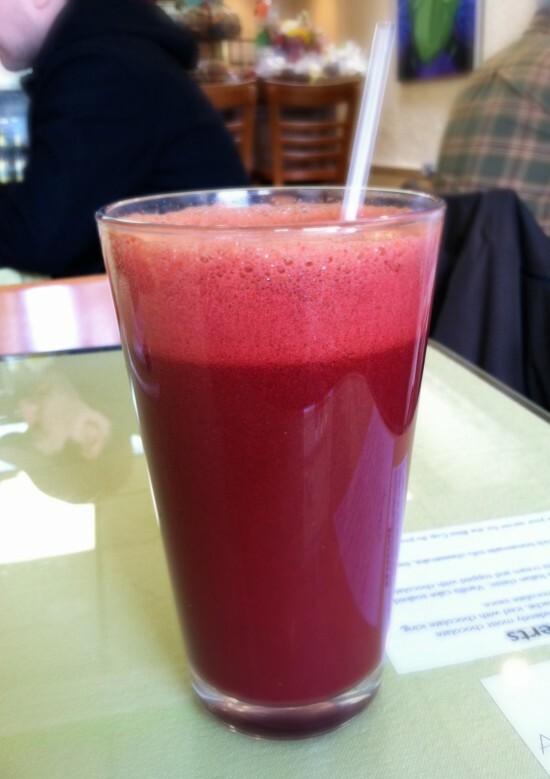 If you’re wondering, immune boosting juice equates to lots of garlic and ginger, among other fruits and veggies. I don’t think anyone would have wanted to be in too close a proximity to me after drinking this. Ha! 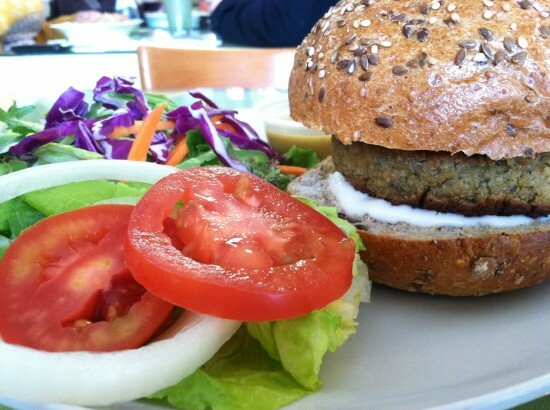 This is Good Karma’s Earth Burger – homemade tofu, sunflower seeds and brown rice patty baked until golden. 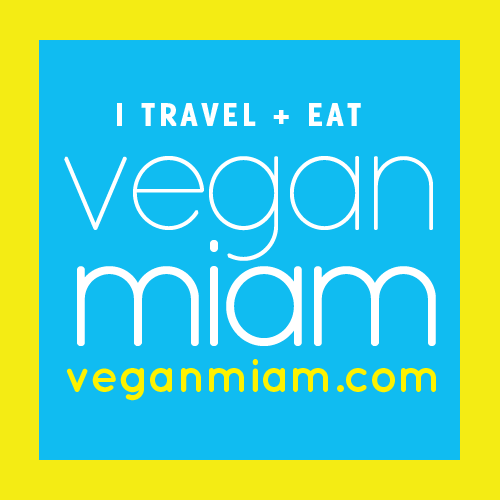 Served on a whole grain bun with vegan mayonnaise, romaine lettuce, sliced tomato and red onion. The burger is great, very moist and nutty with lots of flavor. The lemon dressing that comes with the salad is absolutely amazing!! So delicious! I ended up dipping my burger in the salad dressing too. It was awesome! This Tiramisu was flipping amazing!!!! Good Karma’s take on the Italian classic – vanilla cake soaked in coffee, layered with vanilla ice cream, and topped with chocolate crumbles. It’s actually one of the first times I’ve had vegan tiramisu and holy wow!! So. Good. 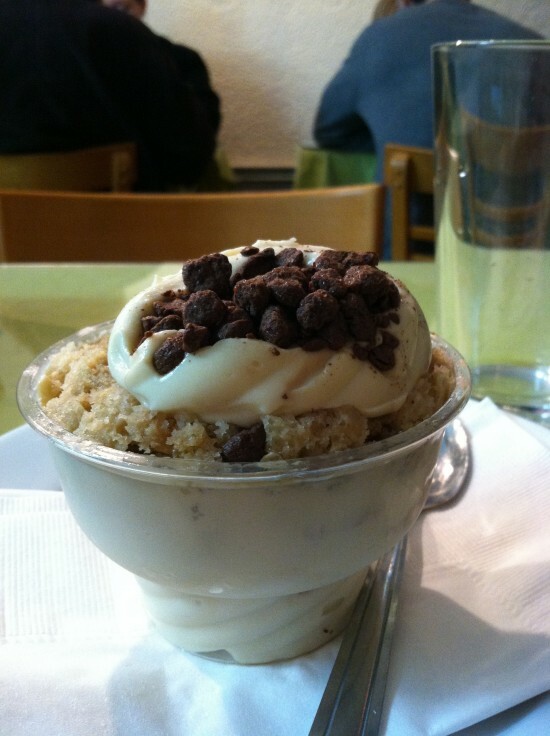 The chocolate crumbles on top are out of this world! 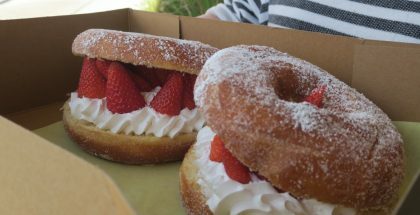 The cream is outstanding! The bread is awesomely cake-like and delicious! Overall, this dessert is sweet, creamy, and simply wonderful. 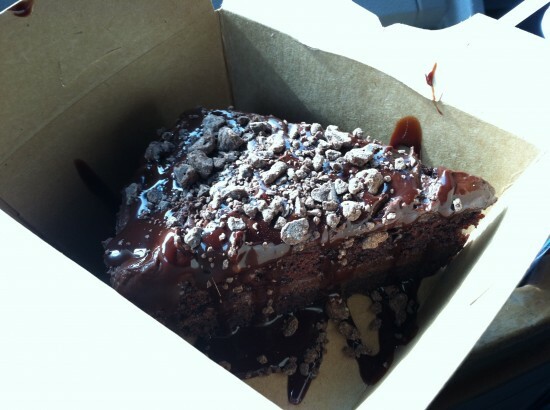 Here we have some classic chocolate cake. Do I really need to say more? Deelish!! I really envy your scrumptuous food travels!